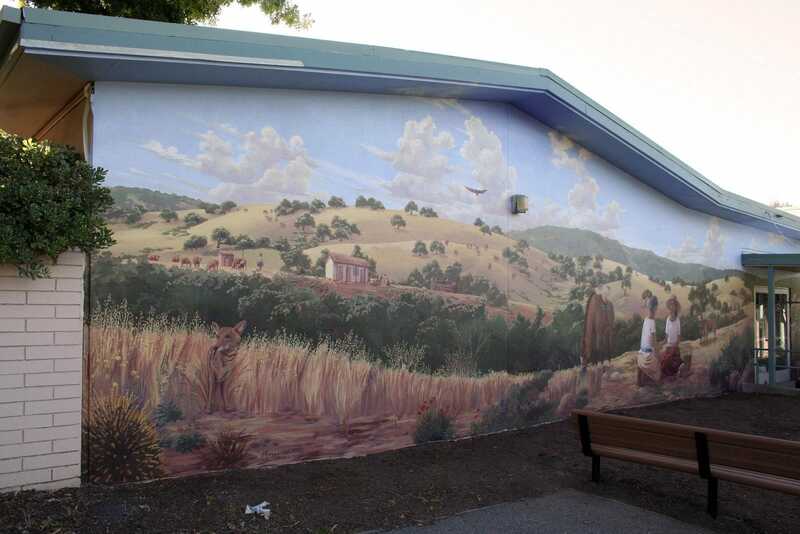 I painted this 100′ mural at Juana Briones Elementary School in Palo Alto to compliment a reading garden outside the school library. 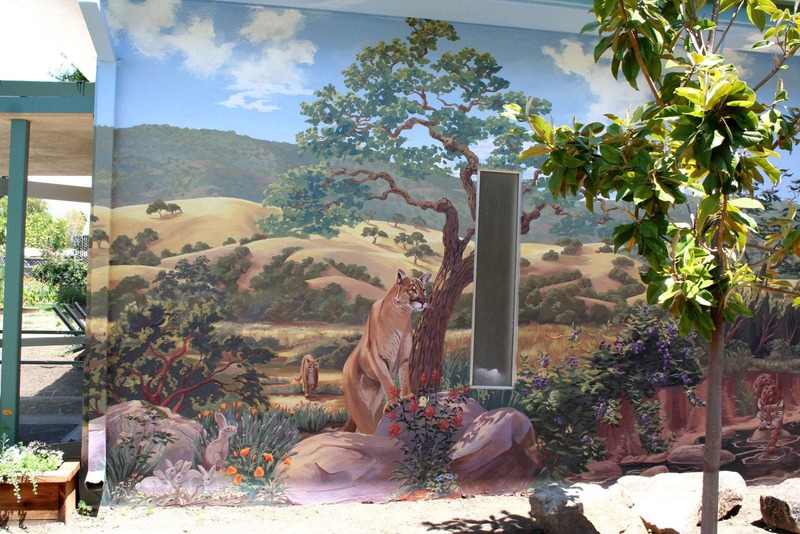 We wanted to create a peaceful, nature inspired corner of the school that was also educational. 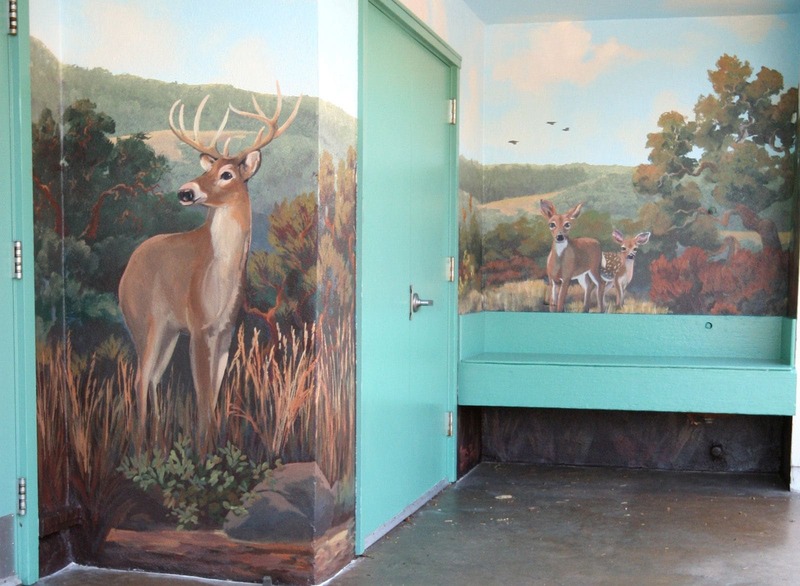 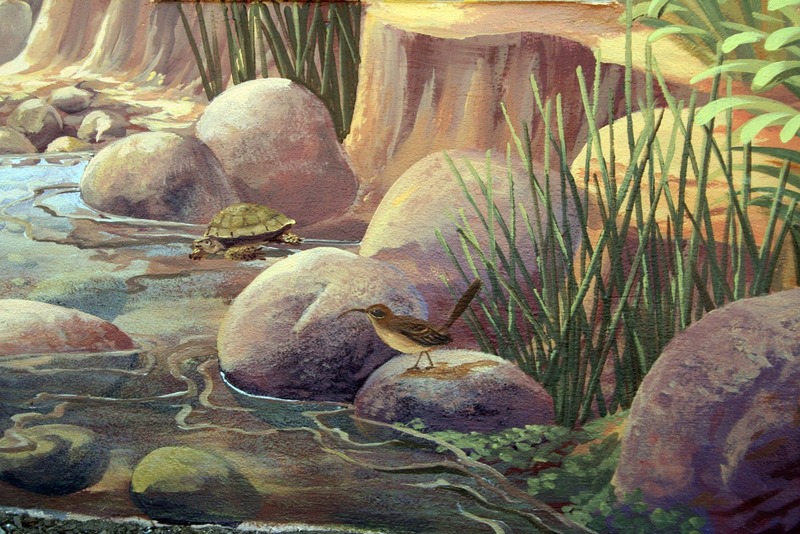 I included only species native to the bay area in the mural. 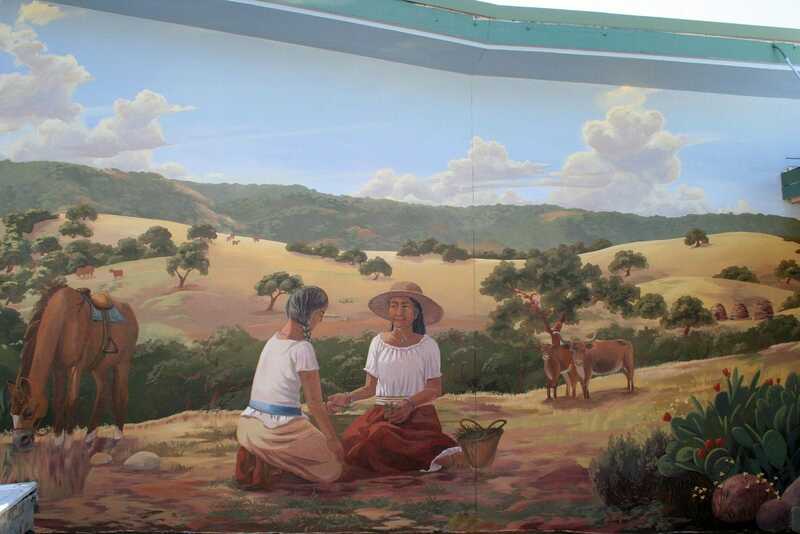 On the adjacent 50’ wall that faced the playground, I created a wide landscape celebrating the school’s namesake, Juana Briones. 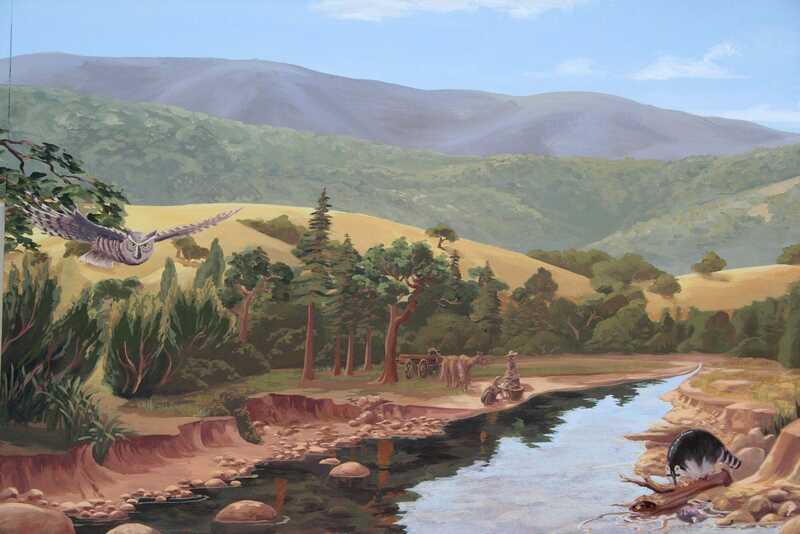 She was a pioneering woman of San Francisco and Santa Clara County who raised 7 children, was an enterprising business woman, a curandera (Mexican folk healer), a humanitarian, and accomplished tremendous success in her life without any formal education. 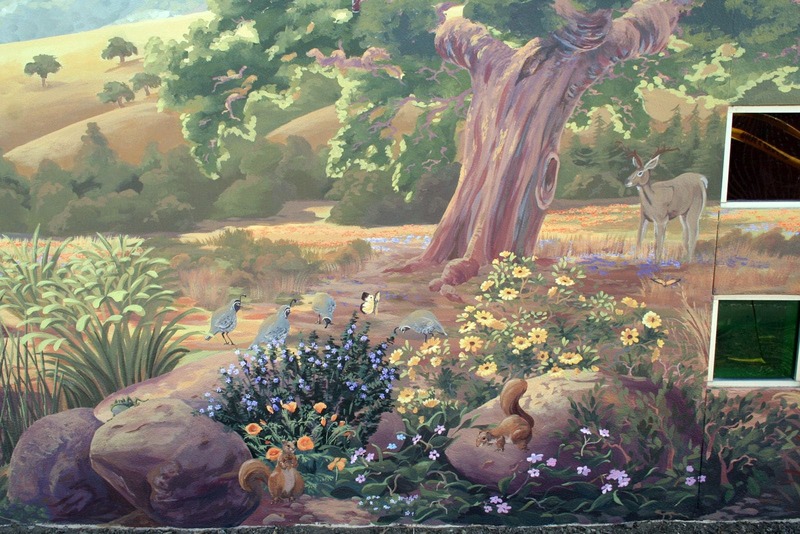 I painted what her farm would have been like, and included her in the foreground sharing knowledge of the local flora with a Native American woman. 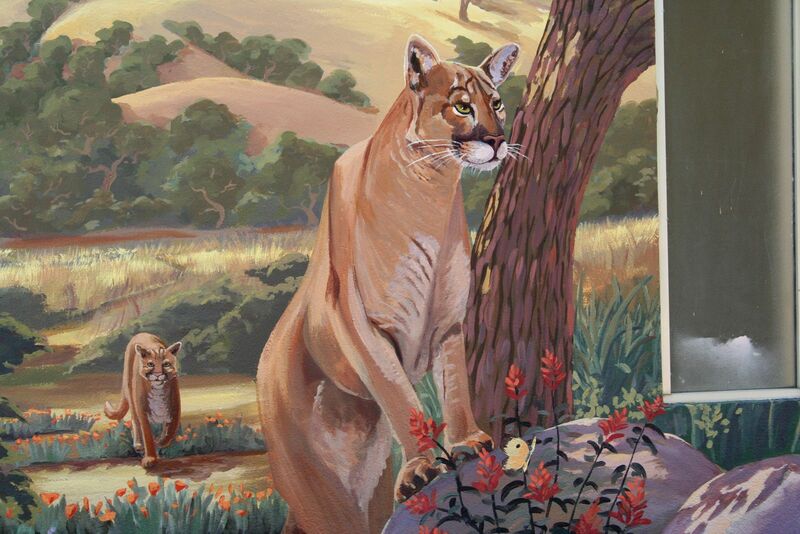 The children at the school study her as part of their California history curriculum. 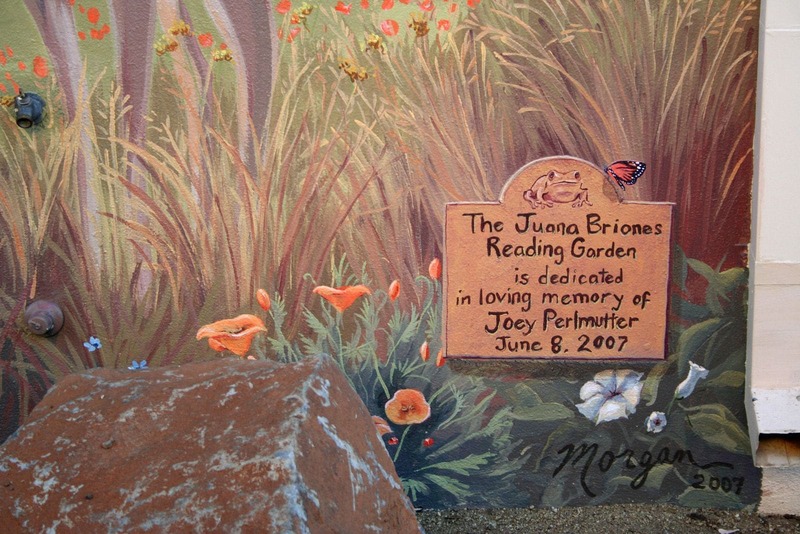 This mural was part of a larger project of creating a reading garden with landscaping and benches, for the school to enjoy in honor of the memory of Joseph Perlmutter.